Holy Moly, I hate the new blogger set up. I'm sure it rolled out like a long time ago, and I just haven't been on since then. I fail....like mega fail. 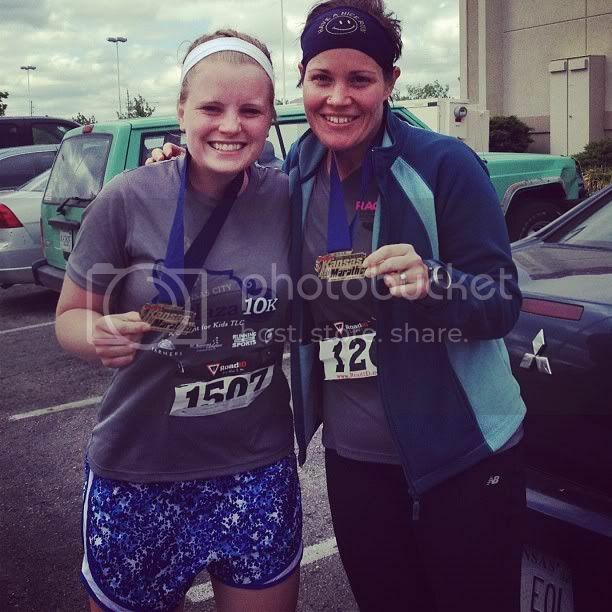 YEAH, you read that correctly, I did two half marathons in two weeks. Like what what? I know there are people out there who do like full marathons back to back, but honestly that sounds absolutely horrific to me...and 2 halves in 2 weeks was a lot physically on my weakling body. 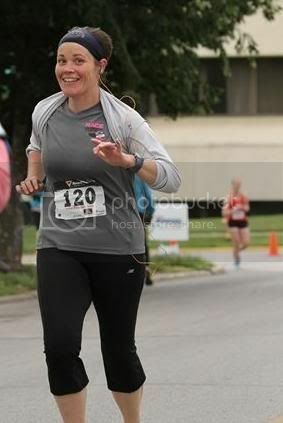 Sunday, the 22nd was the Kanas Half Marathon in Lawrence, KS, a week and a day after the Rock the Parkway half marathon. A week and a day after I ran into so many fueling and knee problems, and struggling to finish 20 minutes over my goal time. So I was mentally prepping myself more than anything. I wasn't quite sure how my running schedule should be the week in between races, so I did a bunch of cross training and kept my mileage moderately and increased my speed. I invested in Cliff Shot Blocks for the race to avoid my fueling issues, but I did fail to eat. Except some small cookie thing that was in my packet. I met my Marathoning Mate Megan before the start, and we decided it would be best to use the porties before the gun time, but the lines were SO LONG. It was determined that it was best to just start late, so we waited and waited and waited. 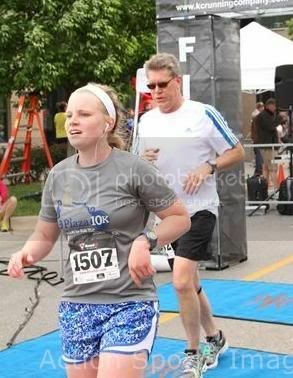 We were running to the start when the gun went off, and ultimately lined up with the correct pace group and started on time....but it was close enough to give me anxiety. Right off the bat, I felt great. 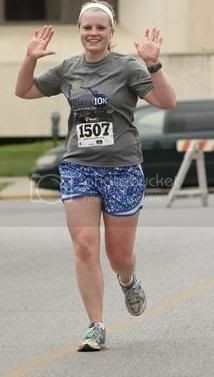 No knee pain, I had energy and didn't feel dehydrated. The only complaint I had was the wind was pretty strong. The first five miles kind of flew by, except for a climb that I have climbed many times in the past. 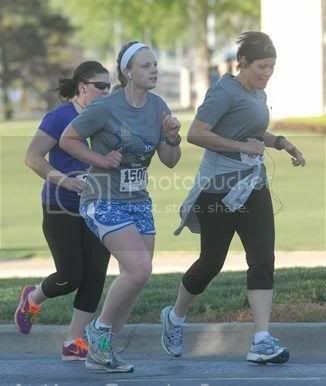 We ran up Daisy Hill, on KU's campus. It's the hill where all of the dormitories overlook campus, it's a fairly steep incline and stretches for what seems like forever. I lived atop that hill for a year. Do you EVER think I ran it ONCE? Nope. Never even dreamed of it. I walked it several times, but I thought it would kill me. Most of the time, I hopped the bus and had it drop me off in front of the cafeteria. Where I ate myself the cliche 15lbs heavier. So there I was, three years later, and nearly 30lbs lighter, running up it. Miles 6-7 were REALLY fast. We were downhill and had a tail wind. I felt really good. My only complaint about this race is that there are over a thousand runners, and we run on SIDEWALKS....so basically the lead runners can get slowed down by gobs of runners getting through aid stations or passing each other. Or high fiving them...which is what I did. 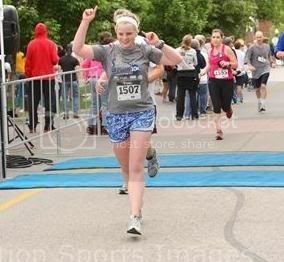 So maybe it's a toss up, I really enjoyed high fiving all the lead runners, and cheering them on very personally. But wow, does it make you feel slow. The biggest problem I had with the sidewalk cluster is that whatever pack you were in when you got it, was the pack you were stuck in, because trying to pass people was impossible especially as you approach mile 7 because you turn loop around and switch directions. So the sidewalk is split in two directions with runners, one pack still hitting the front miles and the other pack on their way back to the finish. 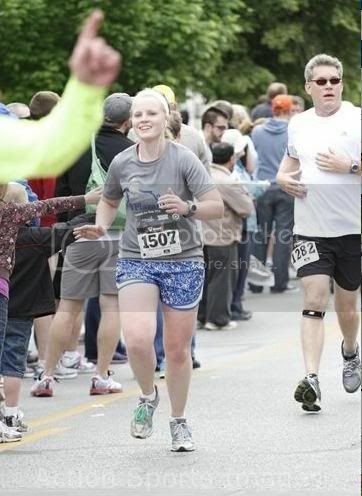 I ended up getting a wicked bad chub rub around mile 7 also, and it was gnarly. I think because of the wind, my legs couldn't warm up and they weren't sweating like they normally do, which is gross but prevents the chaff. I had to stop to ask a pacer for something to alleviate the pain. I also had to stop a lot because every time I hydrate while running, I am getting really bad side cramps when I try to resume running. Anyone have this issue? Finishing after all the side cramps from hyrdrating was pretty freaking brutal, but we did it...and Megan is the ultimate trooper. 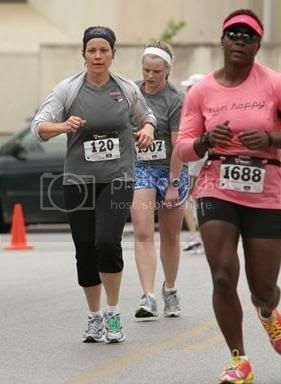 She stayed with me, when she's a super speed demon and probably could have finished 20 minutes before our final time. This week we will finish Running with the Cows Half Marathon, to close out the 39.3 series! !